Inside Stories: Meher Bokhari fired or Resign??? it's unverified information thatMeher Bokhari may soon be leaving Samaa forExpress, where she has been offered a hefty raise. In fact, credible sources claim that Samaa management may preempt her resignation by actually giving her the boot, as early as tomorrow. 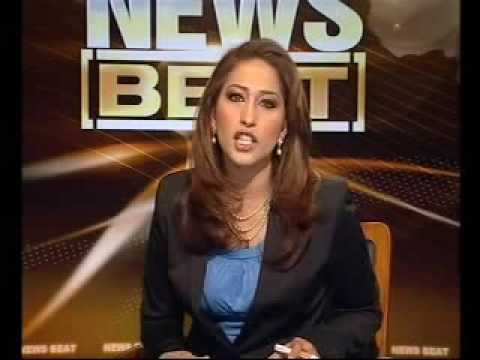 It should be remembered that Bokhari's Newsbeat programme has also suffered from lacklustre ratings, despite the hosts attempts to shout her way to higher viewership and sensationalize issues such as Salmaan Taseer's stand against the retrograde blasphemy laws. Despite its prime time slot, Newsbeat has been languishing in third position for its slot and has far fewer viewers than even Samaa's 10pm slot (hosted by veteran shouter Jasmine Manzur).